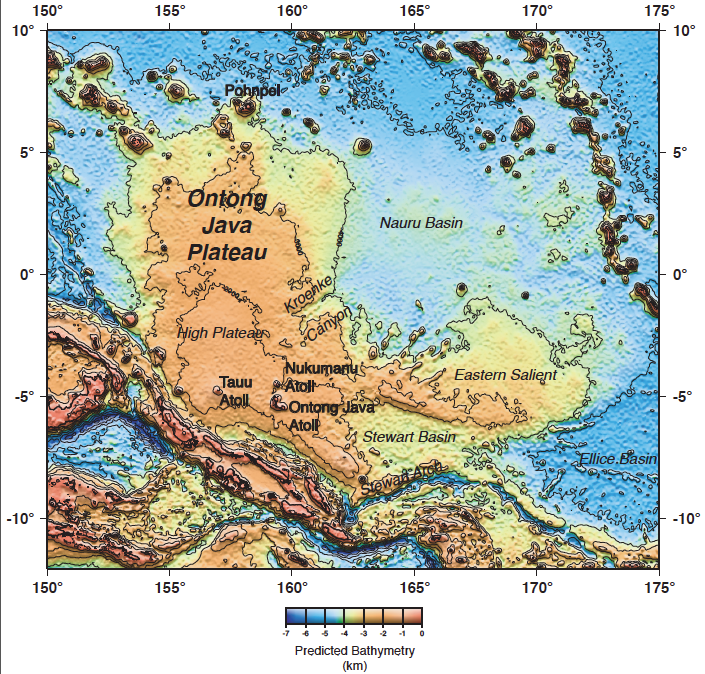 The Ontong Java Plateau is a massive, submerged seafloor platform north of the Solomon Islands that is slightly larger than Alaska. The largest volcanic eruption in the planet’s history likely formed the plateau, but just what caused that strange disgorgement remains a mystery. During October, Falkor took an international team to the region to search for clues that might help explain what happened. 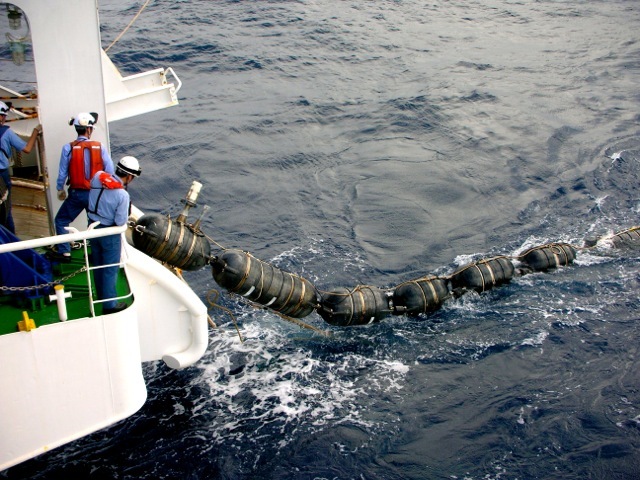 In the process, the group collaborated with Schmidt Ocean Institute to produce seafloor maps that will improve tsunami predictions for people living on Ontong Java’s atolls and that may also provide new information about the history of sea level change–currently rising–in the region. 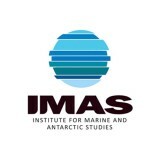 The expedition’s chief scientist, Mike Coffin, a marine geophysicist at the University of Tasmania’s Institute for Marine and Antarctic Studies, has been studying the region for two decades. 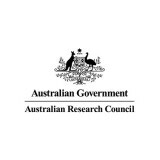 He worked with scientists from the United States, the United Kingdom, Germany, Papua New Guinea, and Japan. Check out chief scientist Mike Coffin explaining the goals of the expedition and the mysteries of Ontong Java. Mapping and other research at the Ontong Java Plateau (OJP) has been severely limited, both because of the scarcity of ships with advanced sonar systems such as Falkor’s, and because the area is so remote. The plateau’s geological origin and development remain a mystery mainly because of that limited work. One critical research need was for samples from the crust that forms the OJP—what geologists call the igneous basement. The catch is that that original magma rock layer now lies beneath several kilometers of seawater and a kilometer-thick blanket of sediment, and researchers have had a difficult time finding a way to access it. Long-running international scientific ocean drilling programs have worked on the plateau, but getting that far down through that much sediment is an expensive and time-consuming process, so there are only seven boreholes into igneous basement there. Still, such work has yielded a surprising story. All the drilled rock samples seem to be similar chemically, and they’re all about the same age—roughly 122 million years old. The fossils found in the samples also appear to be from the same geological period—the Cretaceous. That’s why scientists are reasonably confident that the OJP was formed in a single, massive release of volcanic magma. The total release would have had to be a million times larger than the largest volcanic eruption in recorded history. The challenge for researchers is that none of the hypotheses so far proposed for what caused that event completely fit with the limited data currently available. One idea is that a massive meteor crashed into the seafloor there, forcing out a gargantuan pulse of lava like smashing a jelly doughnut. 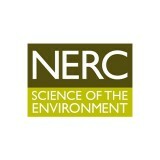 But there is scant evidence in the geological record for a major impact event at that time. Another idea is that something called a mantle plume was the culprit. Most of the planet’s volcanic activity occurs at places where tectonic plates are spreading apart or colliding—creating pathways for lava to erupt from below. But some volcanic activity happens away from the spreading centers at places called hotspots where warm material ascends from great depths and erupts at the Earth’s surface. Such a mantle plume resulted in a hotspot that formed the Hawaiian Islands and is still active today. Some scientists believe the Louisville Hotspot southeast of the OJP and due east from New Zealand may have created the plateau. The confounding factors here are that the chemical signature for OJP rocks don’t match the chemical composition of other material originating at Louisville, and the OJP’s location is substantially off from what might be expected based on current understanding of the region’s tectonics. One of the main missions for the upcoming cruise was to figure out if there is a window to the OJP basement that could allow collection of deeper samples, and hopefully a more complete view. The scientific ocean drilling program samples came from the upper portion of the basement, but the magma layer that forms the plateau is some 35 or more kilometers thick, so a huge portion of it had never been studied. A primary target was a roughly 4,000-meter-deep feature called Kroenke Canyon on the eastern side of the plateau, which had never been mapped. In fact, almost none of the plateau had ever been mapped in high resolution save for a few slices done across the southern end in preparation for laying telecommunications cables between Australia and Asia years back. Once the team completed detailed maps of Kroenke Canyon using Falkor’s seafloor mapping sonar, researchers were able to identify steep, deep cuts that likely expose lower portions of the basement layer. 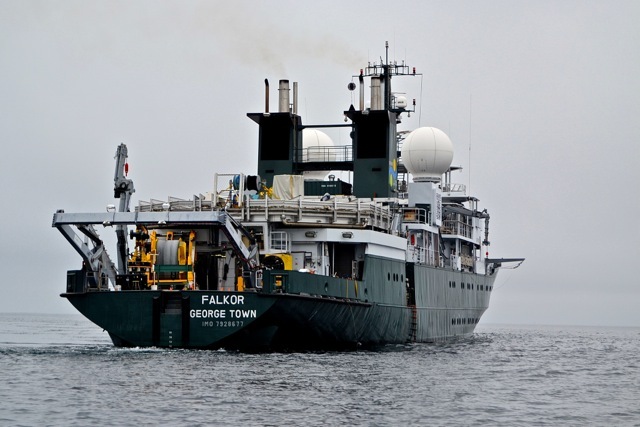 They also employed Falkor’s subbottom profiler, which uses acoustic signals to probe the type of material below the seafloor, to identify exactly where the boundary between sediment and igneous basement lies. The group also mapped all around the Ontong Java and Nukumanu atolls southwest of the canyon—work that might just shed some light on additional mysteries in the OJP scientific tale, including how the islands formed, and the structure of the seafloor around them. Most people have never heard of these island groups but one did have a significant, if unfortunate, brush with fame. Nukumanu was the nearest land when Amelia Earhart made her last radio transmission before disappearing during her 1937 attempt to circumnavigate the globe. But we’ll leave it to other groups to explore the Earhart mystery. Once rock samples are collected the researchers ran a full suite of chemical analyses. Data from deeper samples may offer clues as to whether one of the existing hypotheses is likely to explain the plateau’s formation or whether a new hypothesis is needed. The mapping around the atolls could also tell another component of the larger OJP story. One key goal was to have analyzed the newly produced maps to determine whether the canyon extends in some form all the way to the islands. If so, that finding could be relevant to another mystery, namely how the canyon formed to begin with. In the past, when sea levels were lower, more of the atolls were exposed and water running off that exposed land might have carved the canyon. But based on current limited data the scale seems to be off—meaning the canyon is much larger than what researchers would expect that such runoff could cut. That disparity is why the team’s main working hypothesis at the outset is that a process called dewatering augmented carving of the canyon. As sediment builds up over millions of years, the accumulated weight squeezes water out of the lower layers of sediment, and just like water on land, that has to go somewhere. This water flow could have utilized a minor path in the plateau emanating from the atolls, and progressively deepened the canyon. But if the team finds no connection to the atolls, they’ll have to rethink their ideas and set to work figuring out how it all fits together. Very little is known about how canyons like Kroenke form, so what’s learned at OJP could also improve understanding of processes that shaped other canyons. Another question the team explored was when these islands formed. There is some evidence that they are the result of more recent, and much smaller scale, volcanic activity. The group hoped to identify rock outcroppings around the base of the islands where they could collect samples to determine age and other information to help answer the question. Detailed maps also revealed terraces near the atolls, which are telltale signs of places that were dry land when the sea level there was lower. Information about such terraces should offer insights as to the sea level history over geological time. The work mapping around the islands will also have a very practical application. Though some of the islands in the atolls are inhabited, the models used to predict tsunami paths are sorely lacking high-resolution seafloor maps. Such maps are therefore desperately needed to make those models accurate and identify areas most susceptible to major tsunami damage. So, besides releasing other mapping data from the expedition, the team sent maps relevant to tsunami models directly to the South Pacific Applied Geoscience Commission. Given the region’s active tsunami history, any resulting forecasting improvements will be welcome. Deploying equipment for a seismic survey at the Ontong Java Plateau in 2010. A map of the Ontong Java Plateau, with key research targets labeled. 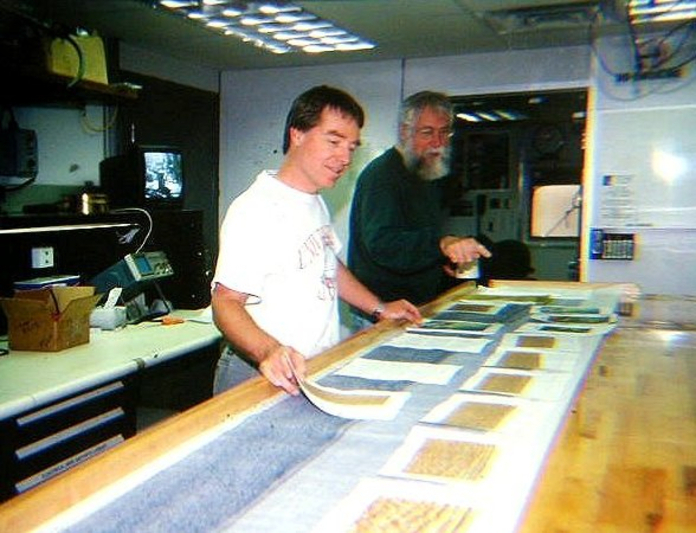 Mike Coffin from the University of Tasmania and José Honnorez from the Université de Strasbourg in France reviewing data aboard the scientific ocean drilling vessel JOIDES Resoltuion during a 2000 expedition. R/V Falkor< on a foggy Pacific day. 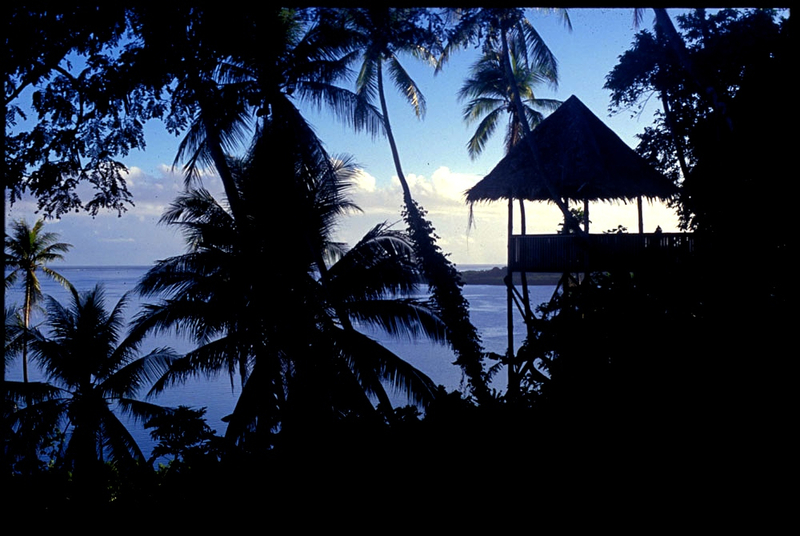 The island of Pohnpei, north of the Ontong Java Plateau, which will be Falkor's port of embarkation for the expedition. The resulting bathymetric dataset from the multibeam mapping the Papahanaumokuakea Marine National Monument in the Northwestern Hawaiian Islands using R/V Falkor’s Kongsberg EM302 and EM710 is being stored at the NOAA National Center for Environmental Information (NCEI). You can view all Falkor datasets by using the Filter Surveys button in the left sidebar. Coffin, M.F., Adams, N.J., Whittaker, J.M., Lucieer, V.L., Heckman, M., Ketter, T., Neale, J., Reyes, A.J., and A. Travers. (2015). The World’s Largest Submarine Canyon - Kroenke Canyon in the Western Equatorial Pacific. Poster Presentation at American Geophysical Union Fall Meeting, San Francisco, CA, USA. Watson, S., Whittaker, J., Lucieer, V., Coffin, M. and Lamarche, G. (2017). Erosional and Depositional Processes on the Submarine Flanks of Ontong Java and Nukumanu Atolls, Western Equatorial Pacific Ocean. Marine Geology, 392 (2017) 122 - 139. doi: http://dx.doi.org/10.1016/j.margeo.2017.08.006. [This publication is available as OPEN ACCESS]. Coffin, M. (2018). The World's Largest Submarine Canyon - Kroenke Canyon in the Western Equatorial Pacific. Oral Presentation, Institute of Oceanology, Chinese Academy of Sciences, Qingdao, China. Coffin, M. (2018). The World's Largest Submarine Canyon - Kroenke Canyon in the Western Equatorial Pacific. Oral Presentation, Ocean University of China, Qingdao, China.